Pem Dorjee is the first Sikkimese football player who has represented India as its captain in several National as well as International matches. He was born on July 12th 1958 at Ben in South Sikkim. Pem Dorjee took his formal education at Kalimpong and Pelling. From his school days he had fervor to play football and with the completion of his studies he switched his passion into his profession. Pem Dorjee received national concentration during National Championship at Coimbatore. His passage in the world of football was actually started after that match. 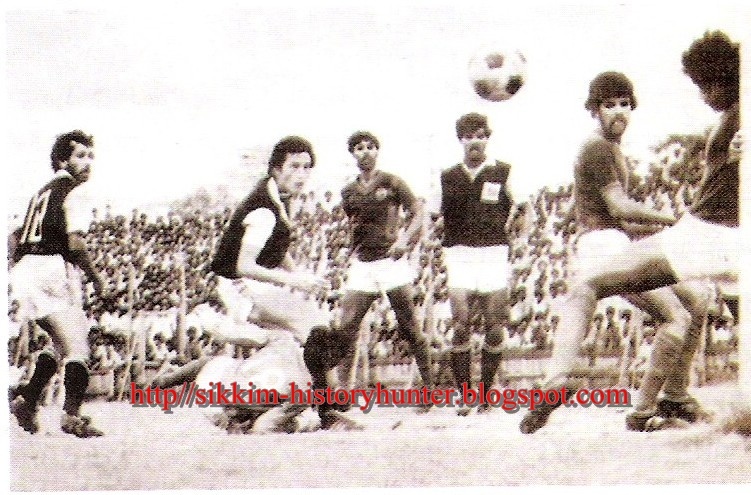 From 1980, he started to play from Mohammadan Sporting, the renowned football club of India. In 1982, he was selected as an Indian football team member for pre-Olympic tournament. Though, India was defeated by Malaysia in that match, but, the national newspapers held the injuries of Pem Dorjee responsible for the defeat of India. In precise, if Pem had not been injured during the match India could have defeated Malaysia. Pem Dorjee represented India at The Chinese Great Wall Cup in 1984 and had been able to achieve a medal for India. He also got a privilege to represent the Indian Football Team at South Asian Federation Games. Further, he played the famous Asia Cup at Abu Dhabi in 1988. He got married to a beautiful lady from Gyalshing named Pushpa in 1987. They have two children Jenila and Marco Bhutia. But, most unfortunately, at an early age, Pushpa had to become a widow of Pem Dorjee. This shinning star of the Indian Football Team died in 2001 at the age of 43 due to cancer. The present Indian Football Captain Bhaichung Bhutia gathered assets from his matches to save Pem Dorjee. But, all the efforts made by his well wishers proved to be futile as he was suffering from an incurable disease. Sikkim is always proud of Pem Dorjee!!! 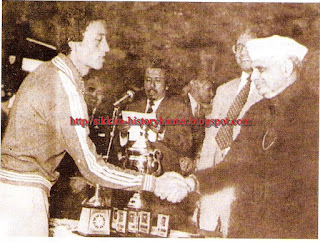 (Picture above Pem Dorjee receiving BEST PLAYER from the then Governor of Sikkim J.H. Taliyarkhan. His daughter's name is ZENNYLA....! !n thanks for the wonderful post for our beloved uncle...!